If you’re caught up on the series, DSI Stella Gibson’s (Anderson) haunting thoughts about Paul Spector make perfect sense. That she can’t get him out of her head isn’t the mystery, but exactly why he’s there is of great concern. Of course, whether he’s survived the Series 2 finale event remains to be seen, but, if I had to guess from those new episode titles, OF COURSE HE IS ALIVE. And of course Stella can’t help but want to get inside his head, as much as he’s gotten inside hers. If you’ve not seen the show and you’re a fan of Anderson, are a closet 50 Shades-er, or love excellent British series featuring fabulous, very human cops (like Luther) or serial killers (tv ones! ), you owe it to yourself to watch The Fall in its entirety; I’d recommend not doing it alone, though. It’s an absolute heart-poundingly scary, at times very violent show. Dornan’s Paul Spector will crawl into your soul just as he did Stella’s. If you need a quick catch up, the previous Series 3 trailer covers the Series 2 finale goings-on. Catch Series 1 & 2 on Netflix. 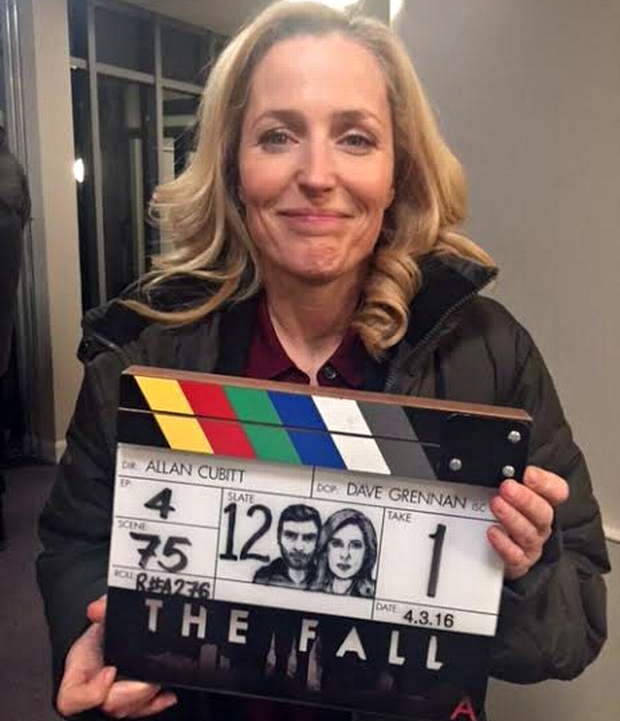 The Fall also stars John Lynch, Bronagh Waugh, Niamh McGrady and Stuart Graham; Series 3 returns to BBC Two soon. Tags: Archie PanjabiBBC TwoBBC2Bronagh WaughDanielle FerringtonGillian AndersonJamie DornanJim BurnsJohn LynchMatt EastwoodNetflixNiamh McGradyPaul SpectorReed SmithSally-Ann SpectorStella GibsonStuart GrahamThe FallThe Fall Series 1The Fall Series 2The Fall Series 3When will The Fall Series 3 return?